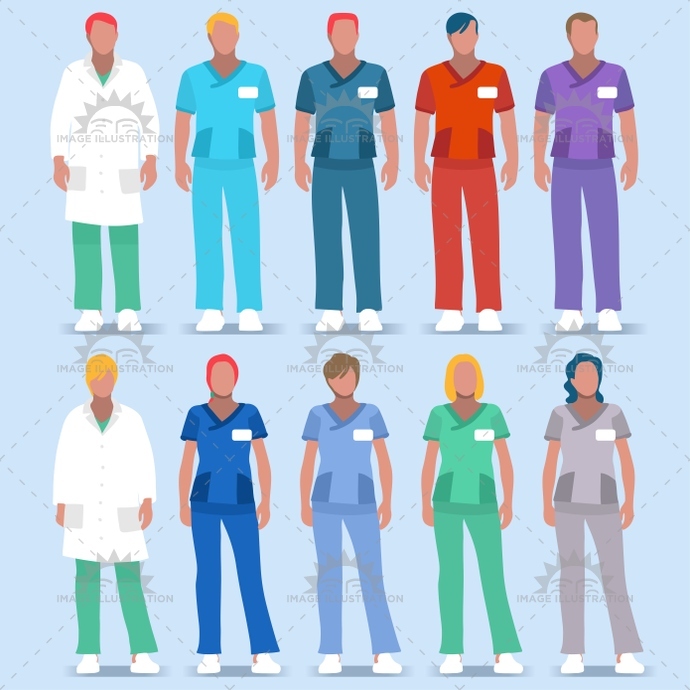 Stock product - detailed vector illustration - 2D People Collection - Hospital 01 - created by Aurielaki. Image formats EPS AI JPG. SKU: Hospital-01-People-2D-AurielAki. Category: Isometric Hospital People. Tags: 3d, adult male, app, assistance, assistants, banner, care, cartoon, character, clinic, clinical support, clinician specialist, collection, diagnostic, doctor, female, flat, girl, health, healthcare, Hospital, hospital staff, icon, illustration, infographic, isolated, licensed, medical, medicine, nurse, people, physician, physiotherapist, practice, radiological imaging, registered, research, respiratory, senior, set, student practitioner, stylish, team, template, therapist, vector, web, white.